Join Mike Lawrence, the Executive Director of Computer-Using Educators (CUE), me for a live and interactive interview with Susan Patrick, President and CEO of iNACOL, the international K-12 nonprofit association representing the interests of practitioners, providers and students involved in online learning worldwide. Susan is a spotlight speaker at the upcoming CUE.org conference in Palm Springs March 4 - 6, 2010. About Kevin Johnson: "My interest in technology began when I was 14. I worked detasseling corn for a summer and saved up and bought a Commodore 64 (Whoooo! Hoooo!). I spent hours teaching myself to program, which later lead to a programming position with the University of Illinois. Anyone remember Plato terminals? I spent three years working with the Computer Adaptive Testing and Measurement team developing online study materials for domestic and international audiences. "For the past twelve years, I have developed curriculum and taught in both academic and corporate environments. Even though I have taught multiple subjects, a majority of my teaching has centered on technology. After graduating with my Master of Education degree from the University of Illinois, I moved to California where I taught for a Business College. Due to my desire to save paper (not to mention the desire to no longer fight for the copy machine), I started providing lecture notes and other resources to students on CDs. As the Internet emerged, the college asked me to teach a web development course. It was a natural transition for me to move from burning CDs to placing course content on the web. Before I knew it, I was interacting with my students electronically and my interest in online education began. It was this interest that pushed me to participate in the Online Teaching and Learning program through California State University-Hayward. "The online program through CSU is similar to the MVCR program offered by the Illinois Online Network (http://www.ion.uillinois.edu), where I have designed and taught online courses focusing in areas of online pedagogy, instructional design, web design, synchronous communication and more. I also facilitated a state-wide initiative whose goal was to develop a rubric outlining quality standards for online courses. Recently, I served as the Coordinator of Instructor Support for the University of Illinois Global Campus (http://global.uillinois.edu). In this position, I provided pedagogical and technical support to instructors, supervise the mentoring program, and participate in mentoring and evaluating instructors. I left this position to start my own education consulting compnay called The Cutting Ed, Inc. (http://thecuttinged.com). The company specializes in helping clients envision education and training for the 21st century. I also just finished coauthoring the book Online Education for Dummies with Dr. Susan Manning (shameless plug, I know. *smile* ). "In January of last year, I decided to continue my education journey and have enrolled in a doctoral program through Nova Southeastern (http://www.nova.edu). The program is a doctorate of education degree with a concentration in instructional technology and distance education (http://www.schoolofed.nova.edu/doctoral/concentrations/itde.htm). One of the reasons this course is so important to me is the fact that my research looks at the institutional contributors to the job satisfaction level of distant adjunct faculty." 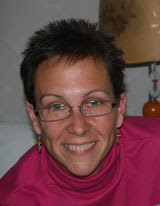 About Susan Manning: Susan Manning teaches Instructional Design for Online Learning. Professionally, Susan Manning is best known as a teacher’s teacher, that is developing faculty and preparing them to teach online. She teaches courses in online learning, technology tools, the synchronous classroom and instructional design. She also delivers workshops on adapting curriculum for online delivery, podcasting and selecting the right technology tools. She has taught hundreds of faculty, mostly from the Midwest, but occasionally drawing from Saudi Arabia, Denmark and Russia. 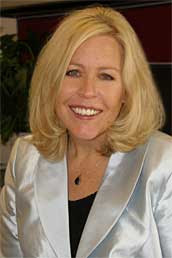 Susan is co-author of Online Education for Dummies along with Kevin Johnson. Susan is also recognized as one of the early voices in educational podcasting. 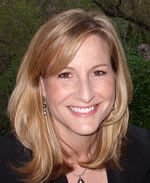 Currently, Susan is co-host of the LearningTimes Green Room podcast that explores themes in learning and technology. Susan’s online career began more than 10 years ago when she was asked to investigate the possibility of training literacy volunteers online. Knowing that she needed additional training and skills development, Susan became an online student and earned her certification as Master Online Teacher from the University of Illinois. Additionally, she holds a Doctorate in Adult Education from Ball State University (1991), a Masters in College Student Personnel from Bowling Green State University (1983) and a Bachelors in Communications from Truman State University (1981). Part of the Conversations.net and FutureofEducation.com Interview Series. Join me as I interview Clay Shirky, author of Here Comes Everybody: The Power of Organizing Without Organizations , a book that has profoundly influenced the discussions of social media and education. 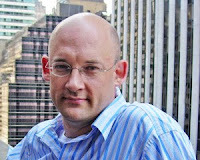 Mr. Clay Shirky divides his time between consulting, teaching, and writing on the social and economic effects of Internet technologies. His consulting practice is focused on the rise of decentralized technologies such as peer-to-peer, web services, and wireless networks that provide alternatives to the wired client/server infrastructure that characterizes the Web. Current clients include Nokia, GBN, the Library of Congress, the Highlands Forum, the Markle Foundation, and the BBC. In addition to his consulting work, Mr. Shirky is an adjunct professor in NYU's graduate Interactive Telecommunications Program (ITP), where he teaches courses on the interrelated effects of social and technological network topology -- how our networks shape culture and vice-versa. His current course, Social Weather, examines the cues we use to understand group dynamics in online spaces and the possible ways of improving user interaction by redesigning our social software to better reflect the emergent properties of groups. Mr. Shirky has written extensively about the internet since 1996. 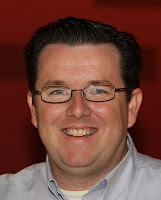 Over the years, he has had regular columns in Business 2.0, FEED, OpenP2P.com and ACM Net_Worker, and his writings have appeared in the New York Times, the Wall Street Journal, the Harvard Business Review, Wired, Release 1.0, Computerworld, and IEEE Computer. He has been interviewed by Slashdot, Red Herring, Media Life, and the Economist's Ebusiness Forum. 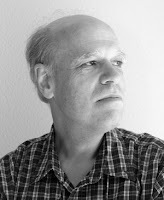 He has written about biotechnology in his "After Darwin" column in FEED magazine, and serves as a technical reviewer for O'Reilly's bioinformatics series. He helps program the "Biological Models of Computation" track for O'Reilly's Emerging Technology conferences. His website is at http://www.shirky.com. Location: In Elluminate. Log in at http://tr.im/futureofed. The Elluminate room will be open up to 30 minutes before the event if you want to come in early. To make sure that your computer is configured for Elluminate, please visithttp://www.elluminate.com/support. Recordings of the session will be posted within a day of the event at the event page (here). 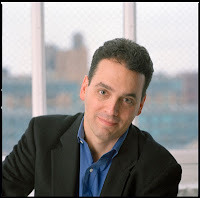 Join me as I interview Dan Pink about his new book Drive: The Surprising Truth About What Motivates Us . Of course, we'll dive into my favorite topics: the implications for education of his work, and how he sees the Internet changing our culture and society. His latest is Drive: The Surprising Truth About What Motivates Us , which uses 40 years of behavioral science to overturn the conventional wisdom about human motivation and offer a more effective path to high performance. Early reviews say that “Pink’s analysis–and new model–of motivation offers tremendous insight into our deepest nature” (Publishers Weekly) and call the book “important reading . . . an integral addition to a growing body of literature calling for a radical shift in how businesses operate” (Kirkus). A Whole New Mind: Why Right-Brainers Will Rule the Future charts the rise of right-brain thinking in modern economies and describes the six abilities individuals and organizations must master in an outsourced, automated age. A Whole New Mind is a long-running New York Times and BusinessWeek bestseller that has been translated into 21 languages. His articles on business and technology appear in many publications, including the New York Times, Harvard Business Review, Fast Company, and Wired, where he is a contributing editor. 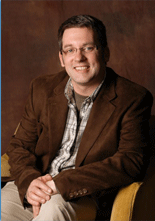 He has provided analysis of business trends on CNN, CNBC, ABC, NPR, and other networks in the U.S. and abroad. He also lectures to corporations, associations, and universities around the world on economic transformation and the new workplace. He received a BA, with honors, from Northwestern University, where he was elected to Phi Beta Kappa, and a JD from Yale Law School. To his lasting joy, he has never practiced law. I have a special appreciation for the annual CUE conference, held each year in Palm Springs, this year March 4 - 6. And no, it's not the unpredictable weather of Palm Springs at that time of year (did anyone else get caught in that blizzard a couple of years ago!?). It's that the organizers of CUE have been foremost in supporting innovative projects that have really benefited the educational community. CUE was home to the first ever EduBloggerCon. CUE let us set up the first Open Source Pavilion at an ed tech show, and let us run the first official Open Source speaker track. CUE provides a Bloggers' Cafe are for social media folks to gather, network, and hook up to the Net. CUE supported the first Ning community at a major ed tech show. Their support--and continuation--of these grass-roots initiatives each year has been groundbreaking, and has spread to several other conferences around the country. And his year is no different: CUE is letting us run "CUE Unplugged," a wonderful opportunity to participate at CUE that's described in more detail below. Details on the fun at CUE are below. Thanks to Mike, Marisol, and the crew at CUE! The first ever EduBloggerCon took place at the Shakey's Pizza Parlor during CUE four years ago, and there were just two of us there (big shout out to Barbara Barreda)! Now a regular event at several conferences each year, EduBloggerCon is an opportunity for those who are interested in the use of social media in education to gather in "unconference" style and share and learn. You don't have to be a blogger to come, and EduBloggerCon is always free! CUE provides us with the meeting space and free power and wireless--so bring your laptop, your desire to learn, and join us from from 1:00 - 5:00pm at the Palm Springs Convention Center in the Mesquite F room. You can register for EduBloggerCon West at http://www.cue2010.org/. Suggestions for discussion topics can be added at http://www.edubloggercon.com/cue2010. If you've ever wanted to speak at CUE or a conference, but have never had the chance, now is your time! CUE Unplugged is a series of concurrent sessions being held at CUE in a presentation area where anyone can sign up to present. Really! Maybe you've been trying to work up the courage to present, and just need this encouragement. Or maybe you are an expert presenter, but a topic you wanted to speak on came up after the deadline to submit to speak. In either case, or for any other reason, all you have to do to speak at CUE this year is to sign up on the wiki in free slot: http://www.cueunplugged.com/. If you need any help signing up, just email me (steve@hargadon.com) and we'll get you going. All of the Unplugged sessions will also be streamed live through Elluminate, so if you can't attend CUE physically you can still watch some of the activity remotely! I'm also looking for some volunteers to help attend to the Elluminate streaming--no prior experience necessary. Alice Mercer is helping to coordinate this effort, so if you think you might be able to help, let me or Alice know! Not only does CUE let us set up dozens of computers using Linux and Open Source Software in a lab setting so that you can see what Open Source is and how it works, they also run a speaker series on Open Source that has become the standard for educational ed tech shows. Look for the lab at the conference (it's hard to miss us because the lab becomes the conference evaluation station! ), and consider coming to some of our sessions! Look for the Bloggers' Cafe at CUE--a great place to socialize, grab some network access, and relax with others. You don't have to be a blogger here either, but it's a fun place to put faces to the names of your blogging, tweeting, SL, or other online friends! Here's hoping to see you at CUE! Join me for a live and interactive interview with Tara Hunt on Tuesday, February 2nd. Tara Hunt's new book, The Whuffie Factor: Using the Power of Social Networks to Build Your Business , is an amazing tour and tutorial on the world of social capital, authenticity, and trust. It's probably been the most thought-provoking book for me since I read Clay Shirkey's Here Comes Everybody. While primarily written with a business audience in mind, the ideas here will be of huge significance to anyone operating in this new world of social media. Tara 'missrogue' Hunt, named as one of the most influential women in technology by Fast Company Magazine, has spent the past fifteen years living her life online. From the first wave of online marketing as it emerged in the late 90’s while in Canada all the way to being a pioneer of new marketing in Silicon Valley in 2005, leading the wave into Web 2.0: the participatory web. Tara understands how the participatory web is changing all of our relationships: B2C, B2B and C2C. She doesn’t believe in pushing messages or creating strong brands, only in the power of building relationships. After spending 4 years in San Francisco, she moved to Montreal to write her next book (working title ‘Happiness as Your Business Model’) in August 2009.